The runway was full of inspiration this season, offering eccentric new spring fashion trends that piqued our interest. We took notes and saved the trends we loved so we could share them with you. We want to set you up for a fashionable and fearless season full of print mixing, new color combinations, and details matched together in ways you’d never imagine. 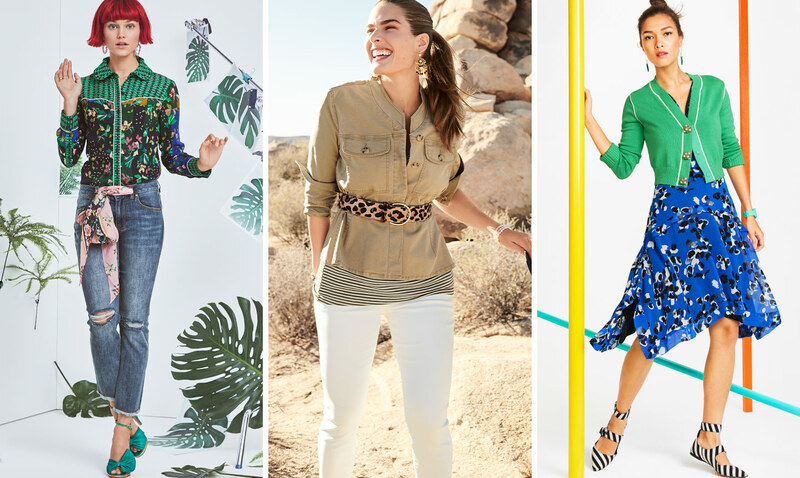 To help shed some light on how to wear these trends, we shot a video of the inimitable Becky Jantzen waxing stylistic eloquence on everything from the wild prints of Avant Garden and the neutral undertones of Safari Chic to the eye-catching colors of Full Spectrum. Start prepping your wardrobes! When you think of spring, you think of flowers—that goes without saying. The trees are budding, the magnolias are blooming, and the air is fresh. Spring is bursting with life and colors! 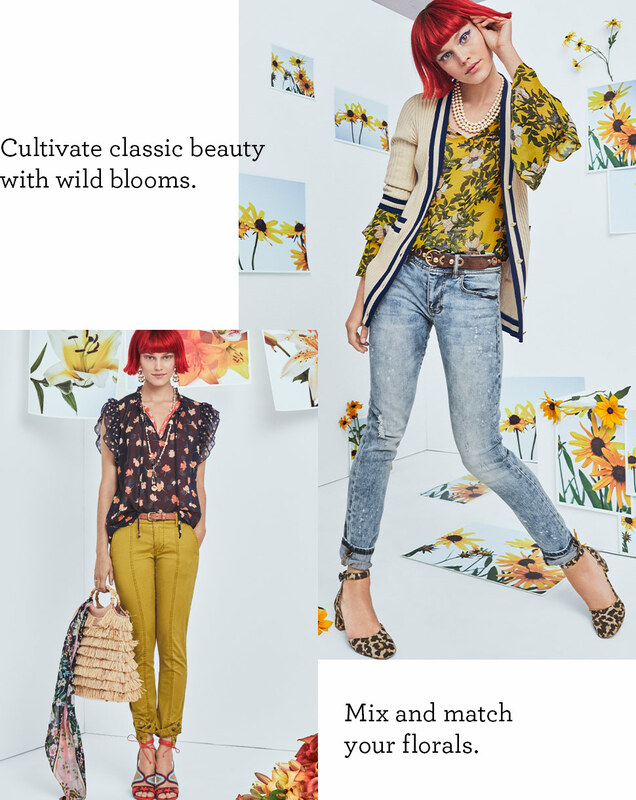 This season, we’re focusing on how you wear your florals and taking it to the next level. Try mixing and matching different patterns—perhaps a geometric or abstract print speaks to you. Don’t worry about clashing. Instead, turn to your accessories to tie your look together. Match your shoes to your purse, for example, and let yourself go wild with your other pieces. Style tip: take the Flaunt Scarf, and tie it to a tote bag for some bonus floral detail. This trend is right at the crossroads where the savannah meets the city. A more neutral palette plays on the colors of the desert. Shades of olive and beige serve as a strong backdrop to your outfit. We’re looking at utilitarian outerwear layered over tailored pieces such as a slim-fit skirt or white skinny jeans for a contrasting silhouette. And let’s not forget about accessories—finish off your earthy look with an elegant hat and skin print details. Everything comes back to life in spring. The once lackluster palette of winter is recharged with invigorating color, and your wardrobe should reflect that. The runway was full of interesting color combinations this season, and we’re on board! Don’t be afraid of unusual color pairings (we’re looking at you, green and blue!). These choices show you’re daring and adventurous. Bold colors can be energizing and will surely brighten your day. Feeling powerful? 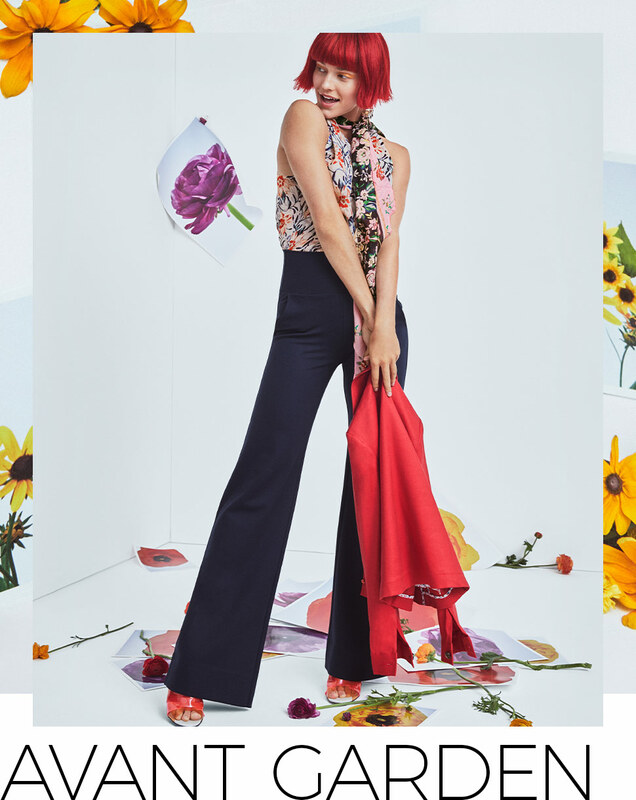 Go for the Valentine Trouser. Feeling productive? Try a yellow blazer. Pro tip: you can always pair vibrant colors back to whites and denims to temper the spectrum. 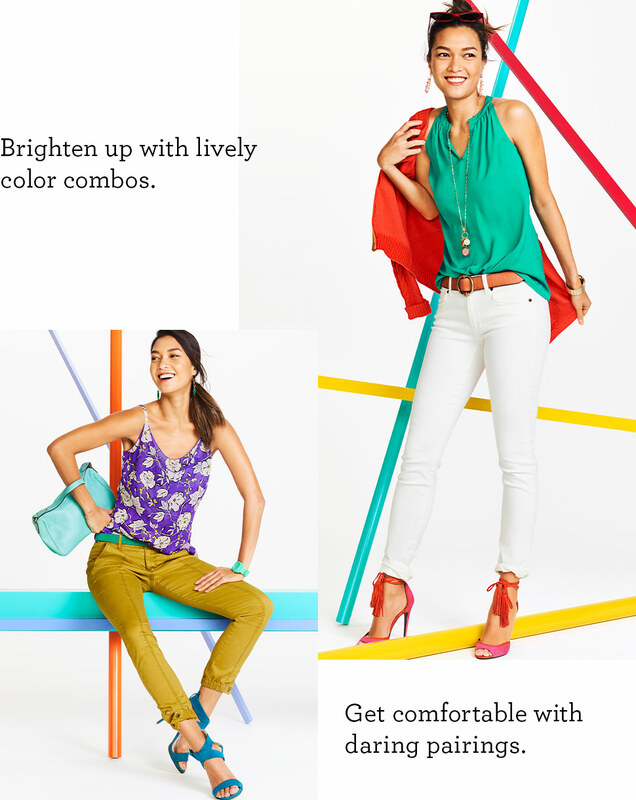 Becky Jantzen, cabi’s Fashion Director, said it best, “Go bold or go home.” Here’s to a colorful spring! 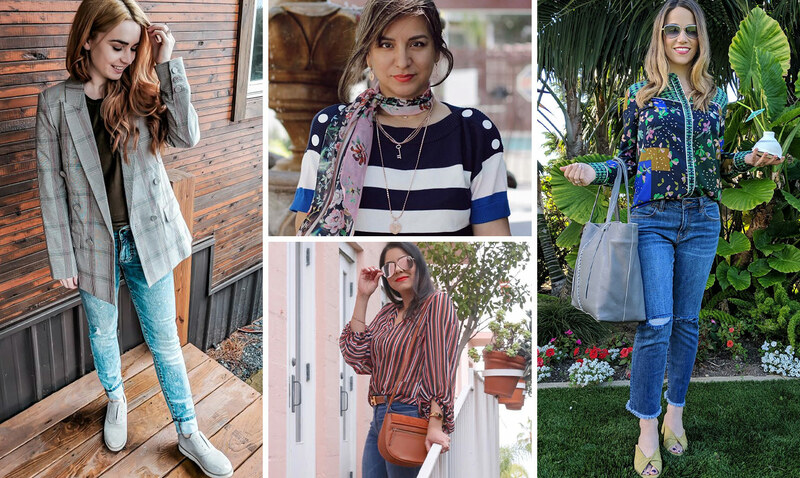 We can’t wait to break out these looks in the months to come. What trends are you most excited for? Let us know how you’ll be styling your ideal spring outfit in the comments below. May your spring be as serene as an earth-tone ensemble, as courageous as a floral-skin print mix, and as bright as a teal-orange combo!